Hepatitis B is an infection that targets the liver. The hepatitis virus is considered to be the reason for this deadly infection. Around 38,000 people got infected with hepatitis in the year 2009. Approximately 4,000 people in the US die from liver cancer and cirrhosis caused by hepatitis B each year. However, since 1990, there has been a decline in the number of cases of Hepatitis B reported in the US by almost 82%. The reason for this has been the implementation of routine hepatitis B vaccination of the children ever since the year 1990. This has dramatically reduced the rate of this infection in children in the United States. Thus, getting the hepatitis B vaccine is considered the best way to avert hepatitis B. The hepatitis B vaccinecompromises of a sequence of shots that can help in stimulating the immune system of a person so that it can protect him against the hepatitis B virus. As the vaccine enters the body, it starts producing antibodies which fight the virus and protect the person from its affects. Antibodies are basically substances that are present in blood and are produced in response to the virus that has attacked the body. The antibodies produced by the body because of the hepatitis B vaccineget stored in the body and when in the future the person gets exposed to the hepatitis B virus, they are ready to fight it off. Recombivax HB PediatricAdolescent, Recombivax HB, Engerix-B and Engerix-B Pediatric are the brand names of the hepatitis B vaccine which are commonly available in the market. Hepatitis B is part of the hepatitis family as it causes liver inflammation. The contagious disease varies in its strength as it sometimes only lasts for a few weeks while it sometimes proves to be a severe and lifelong disease. Contrary to popular belief, activities like sharing of utensils used for eating with an infected person or kissing or hugging an infected person, etc. don’t cause the spread of hepatitis B. Who Should Take Hepatitis B Vaccine? Who Should Not Take Hepatitis B Vaccine? 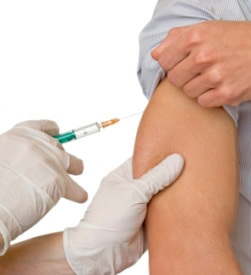 People with yeast allergy which might be life threatening or allergy to any other constituent of the vaccine should avoid the Hepatitis B vaccine. You should let your health professional know about all your allergies so that he can decide whether you would have any allergic reaction to the vaccine or not. People who didn’t respond well to their last hepatitis B vaccineshot (had a strong allergic reaction) should avoid the remaining shots. People who are not feeling well or are suffering from a disease at the time when the next vaccine dose is to be given should avoid the vaccine at that time and should only get it after they have recovered. You can contact your doctor to better know about all of the precautions. Every child should be given their first shot of the Hep B vaccine when they are born and the sequence of shots should be completed within the first 18 months. However, if any child doesn’t get the vaccine at birth then adolescents under the age of 19 are recommended "Catch-up" vaccinations. This vaccination is appropriate for both children who never got any vaccine shot and who got a few but didn’t get the entire series. If any adult wants the Hepatitis B vaccineas he thinks that he is at risk of contracting the infection then he would have to contact a doctor about how to get the most appropriate hepatitis B vaccine series. A hepatitis B booster dose especially a hepatitis B 5 year booster dose is often recommended for all vaccinated individuals so as to ensure continued protection from the virus. The vaccine for hepatitis B is extremely safe and the majority of people face no side-effects. The vaccine itself can never cause the HBV as it consists of non-infectious material only. Apart from these minor issues, the chances of any severe complications are very little with only one case of severe reaction to the vaccine coming out for every 1.1 million vaccines administered. Over 100 million people in the US have been vaccinated with only a handful of cases where serious complications were developed as a result of the vaccine. Like every other medicine, there remains a chance of a severe allergic reaction to the vaccine but even in those cases, the chances of lasting harm or death are very small. Increased heart rate, fatigue, breathing problems, wheezing and lightheadedness are all indicators of a strong allergic reaction and if any of these symptoms are observed after the injection of the vaccination, a doctor should be contacted immediately.